The Western Reserve Historical Society (WRHS) offers a rare glimpse into the past with Cleveland Starts Here®, a new Cleveland history exhibit experience and digital portal sponsored by the Jack, Joseph and Morton Mandel Foundation at the Cleveland History Center in University Circle. 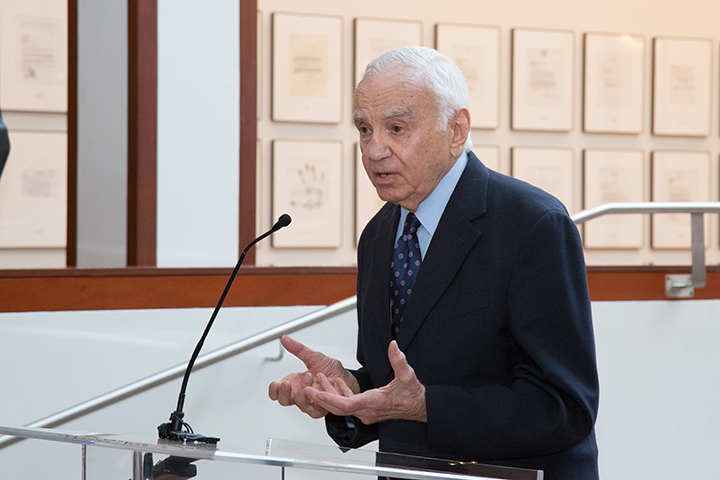 The exhibit kicked off with an opening ceremony attended by over 700 people on November 28 before making its public debut the following day. On the occasion of its 150th anniversary, presented by PNC, WRHS is giving the gift of history to the community with Cleveland Starts Here®, an entirely new exhibit experience. It’s the starting point for all audiences, from first-time visitors to life-long residents, to immerse themselves in Cleveland’s stories from the 1790s to today. Using the latest technologies and digital media, rarely seen images, films, art and historical artifacts are now accessible for visitors to experience. From the first Cleveland map and early survey tools, to a lunar descent engine and LeBron James’s championship shoes, Cleveland Starts Here® tells the stories of the triumphs and tragedies that define Cleveland. These stories of innovation, immigration, entrepreneurship, and diversity inspire visitors to create their own chapter in this ever evolving story. Audiences around the world can also access WRHS’s extraordinary collections online via the Cleveland Starts Here® digital portal. “We are excited to share Cleveland Starts Here® with the world. After three years of development and the incredible support we’ve received from donors and community leaders, we can’t wait for history buffs, sports enthusiasts, parents, grandparents, students, educators and CLE lovers around the world to experience our collective stories. It’s a celebration of the past and the present, and we welcome everyone to come and make connections to their lives,” said Kelly Falcone-Hall, WRHS President & CEO. Founded in 1867 as an historic branch of the Cleveland Library Association on Public Square in downtown Cleveland, the Western Reserve Historical Society (WRHS) has been here to preserve and provide access to the stories of Northeast Ohio and beyond – stories of the people, the artifacts and the archives that are the provenance for our region. Operating six sites throughout Northeast Ohio, WRHS presents exhibitions, programs and experiences that tell the story of Cleveland and Northeast Ohio through items, documents and artifacts from a variety of collections at its headquarters, the Cleveland History Center in University Circle. Through the use of its vast and varied collections in the areas of family history, community history, entrepreneurship, and technological innovation, the Cleveland History Center provides the public with a much-needed sense of place in today’s mobile society, and a base for learning about invention and ingenuity that can be transferred into modern economic expansion. 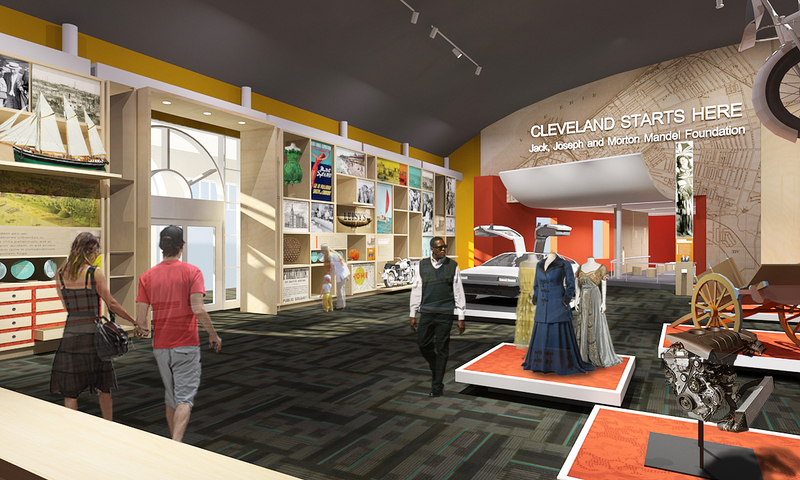 One admission to the Cleveland History Center includes access to two historic mansions, both on the National Register of Historic Places, the Crawford Auto-Aviation Museum (with support from The Frederick C. and Kathleen S. Crawford Fund of the Cleveland Foundation), Chisholm Halle Costume Wing, Research Library, Kidzibits Playzone, Community History Galleries, and two rides on the Euclid Beach Park Grand Carousel. Cleveland Starts Here®! WRHS is a Smithsonian Affiliate (www.affiliations.si.edu), a national outreach program that develops long-term collaborative partnerships with museums, educational, and cultural organizations to enrich communities with Smithsonian resources. WRHS is supported in part by the residents of Cuyahoga County through a public grant from Cuyahoga Arts & Culture. Sponsorships, bequests, grants, admissions, and other funding are used by WRHS to preserve and enrich the region’s artistic and cultural heritage. Charity Navigator, the nation’s most-used independent evaluator of charities and nonprofits, has given WRHS a top four-star rating.